I had my passport stamped regularly in my youth. I was born to diplomatic parents across the Atlantic in Chile and with a set of folks who loved to travel as much as they could, I was a frequent flyer even before I celebrated my first birthday. Despite passing through numerous immigration check points in South America, North America and Europe, I had somehow never travelled to another African country besides my own. Call it ironic or outrageous, it just never came to pass until an unexpected turn of events granted me an opportunity to travel beyond my shores to East Africa. My destination? Western Tanzania to two parks that are about as different as night and day. 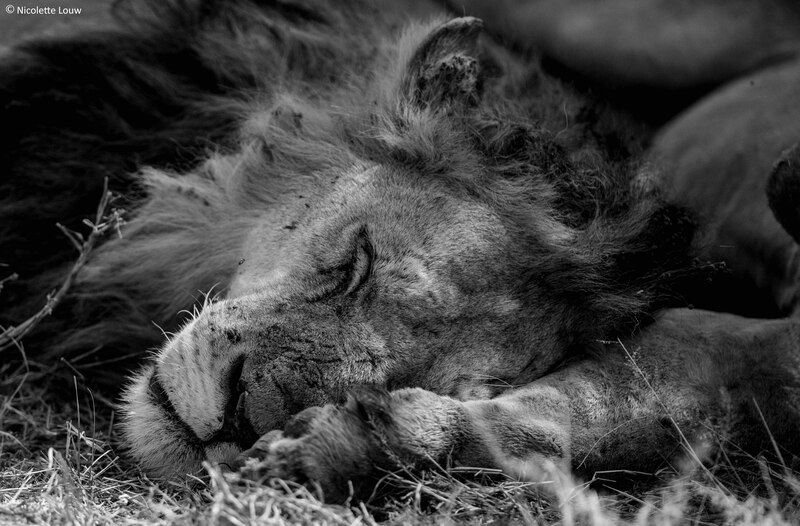 ORYX is at the forefront of ensuring our team is up to date with the very best safari camps across the African continent. Although Tanzania is synonymous with the Seregenti and Ngorongoro Crater, very few know about the road less travelled to Western Tanzania and the camps it has to offer. 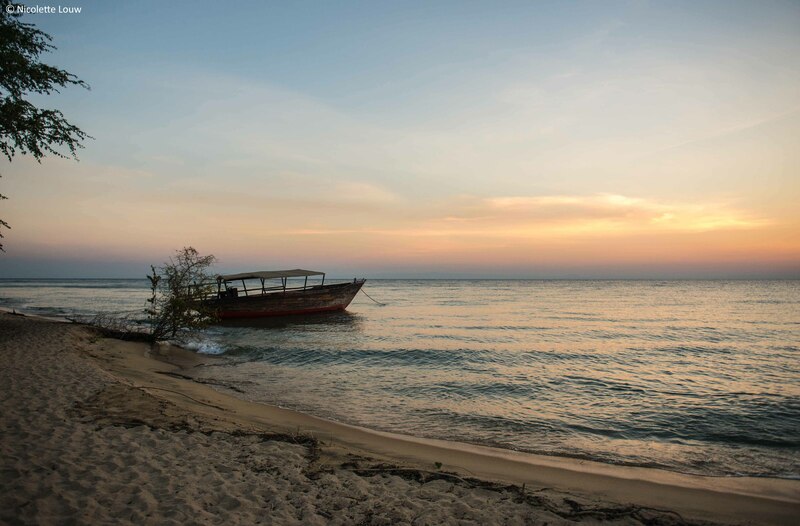 The first portion of my photography tour was a visit to the remote Katavi National Park, which is set against an acacia-woodland backdrop, followed by a visit to Mahale National Park, a tropical-esque paradise on the shores of Lake Tanganyika. One destination offered an adventurous safari experience, while the other offered a tranquil ambience that focused on chimpanzee trekking. Two worlds, one country! My odyssey got off to a slightly bumpy start by arriving in Arusha at midnight as opposed to the original early evening arrival but nonetheless, I was greeted with a smile by the Nomad Tanzania team despite the late hour. The next morning dawned grey and drizzly as we set off from Arusha domestic airport in a light aircraft and flew westwards to Katavi National Park. The topography contours below us comprised of open savannah, bushveld shrubs, floodplains and hunter-gatherer villages, all neatly contouring the great African Rift Valley. Katavi National Park is the third largest park in Tanzania and is one of the few places that remains relatively untouched by man and visitors alike. The park comes to life during the dry season, when river beds and lakes dry up, and animals congregate in their masses to what little water is left behind. June to October is considered the dry season but the rains in Katavi fell until May, when March is normally the cut off, leaving ample water supplies behind and the local wildlife dispersed across the park. Undeterred, I was still happy to be on Tanzania photo safari for some bush tranquility and wildlife spotting, with crazy and ambitious hope in the back of my mind that I would see a leopard in a tree. A much-needed afternoon nap was prohibited by a family of Vervet monkeys as they used the roof of my tent as their trampoline and with some heavy eyes, I headed out on our first game drive. 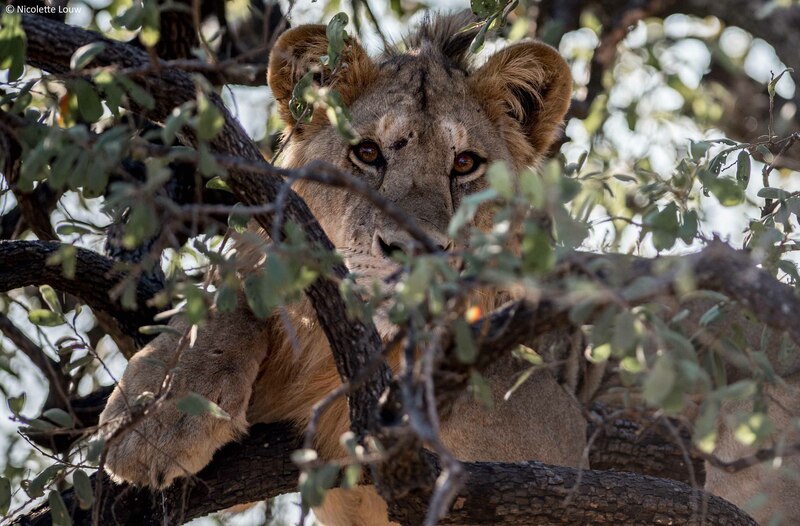 The highlight on this particular drive was that we saw not one but TWO big cats napping in trees: an adolescent male Lion getting some extra shade from the heat and a female Leopard draped across a marula tree branch for an afternoon siesta. 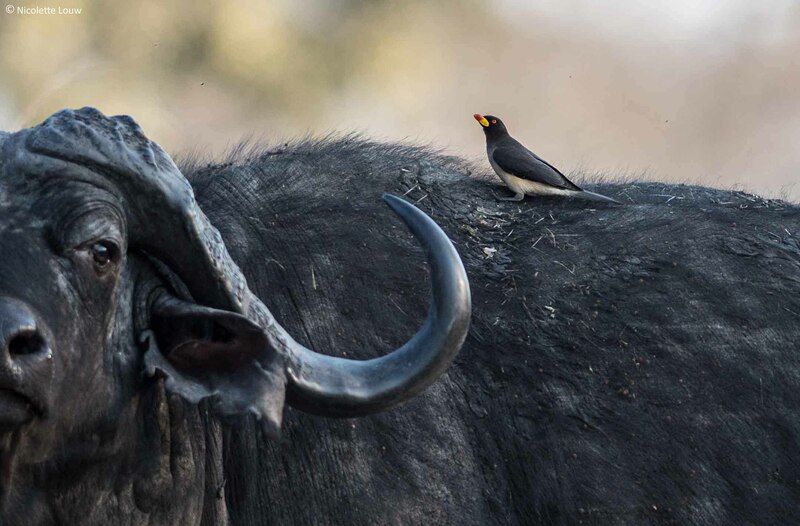 No more incredible animal sightings such as big cats in trees followed on this portion of my photo safari but the park is home to the largest concentration of Buffalo in all of Tanzania. Several herds and bachelor groups are found on the Chada Plain and as inquisitive Buffalo do, they would always curiously stare at our safari vehicle before grunting in dismay and not allow us to take any more photographs. 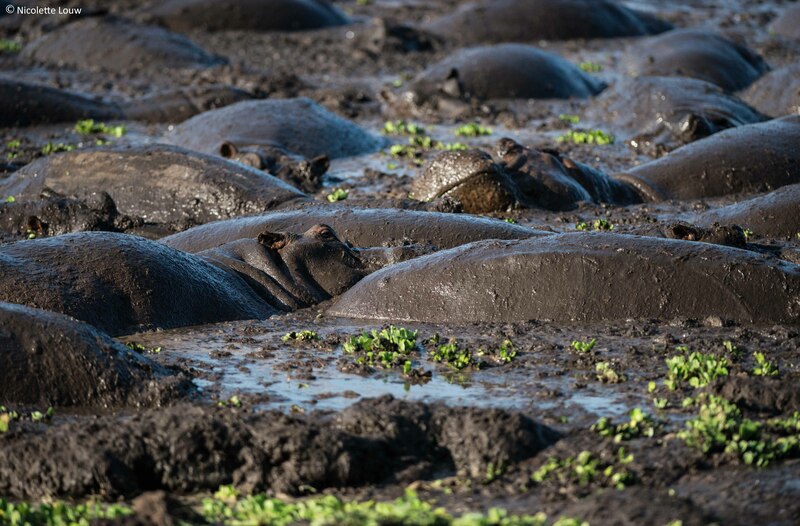 The winter months normally plays host to a show down between the thousands of resident Crocodile and Hippo for a spot in the last remaining waterbeds and mud pools but with the adequate summer rainfall that the area had received, peace was found among the usual warzone. The Elephants here are gentle giants who graze at leisure and visit the camp on occasion, sometimes even walking right past your tent for those ultimate safari vibes. One of the other highlights in Katavi was fly camping; a night that is spent in sheer but bug resistant tent that offers a view of the heavens above. 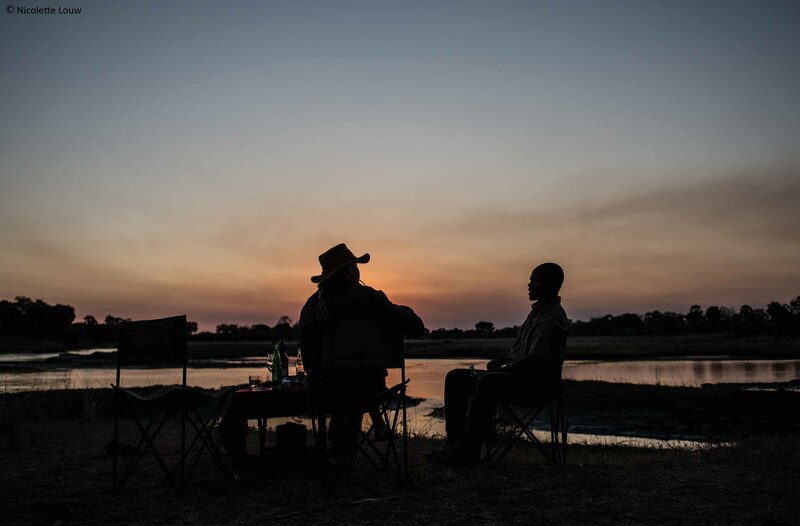 It is a guaranteed opportunity to experience the ultimate African wilderness with as much freedom as possible, with only the finest line drawn between man and wild Africa. 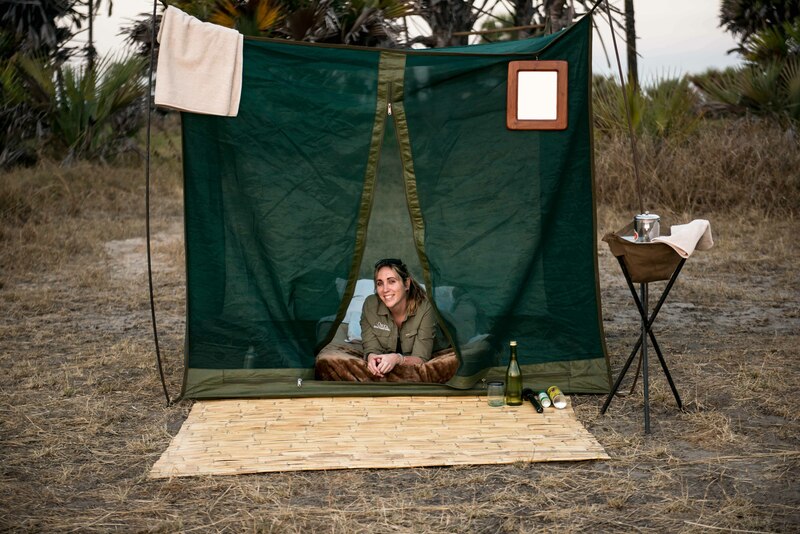 Amenities included a bucket shower, drop toilet, world class meals, a bushveld bar and the sound of whooping hyenas, grunting buffalos and snorting hippos. Our morning at Katavi National Park ended with a game drive to the airstrip as we bid the animals farewell (well, to those who came out to say good-bye!) 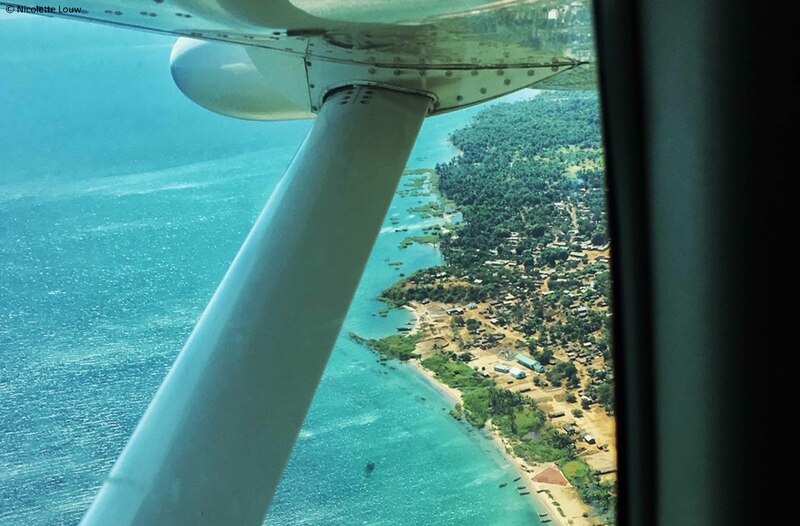 and waved to the camp staff from the window as our little plane took off and we flew 30 minutes north to Mahale National Park. 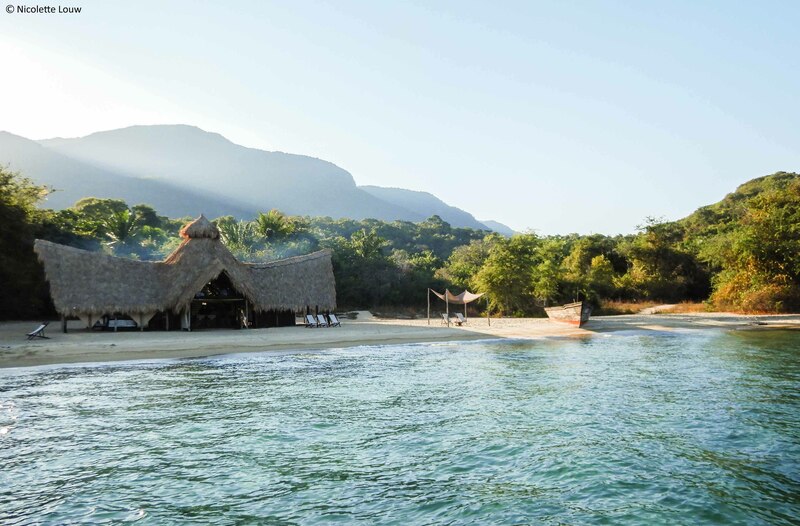 As we reached the shore line of Lake Tanganyika, it appeared as if we had been transported to the Caribbean islands instead. As the shallow depths drew closer to land, the water went from cobalt to turquoise blue, with dhow and fishing boats sprinkled close to shore. After signing in the guest book at the ranger’s station, we were met by the Greystoke Mahale team and our chimp guide, Mwiga. Lunch was served on the dhow as we cruised to camp for just over an hour and soaked in the magnificent sight of the Mahale rainforest. Our arrival at camp was met by joyful cheer, as well as by the resident warthog, Juliette, who unofficially formed part of the welcoming committee. 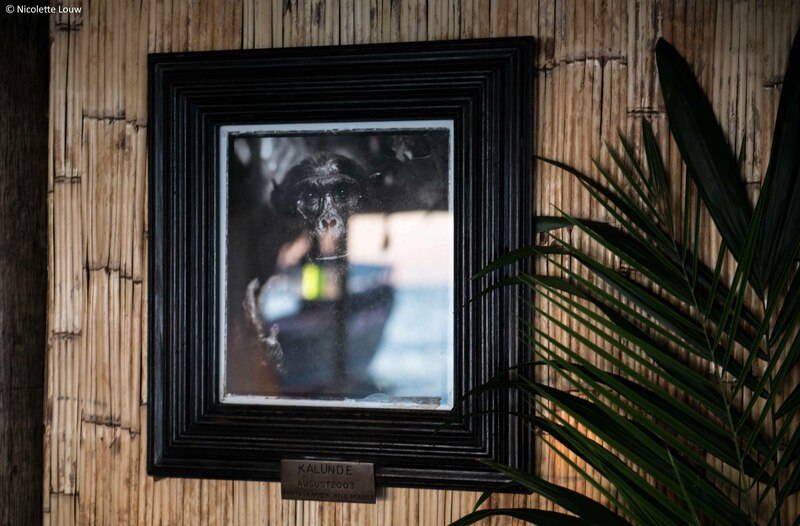 The afternoon drew to a close with a spectacular sunset, silhouetted by dhows and sundowners at the bungalow bar, where we met our chimp trackers and guides. Mwiga proceeded to explain with great enthusiasm how the tracking and guiding works, but also occasionally throwing in a funny trekking story or two. Excited for the day ahead, we retired to our bungalows after a delicious 3 course meal and fell asleep looking straight out onto the lake, to the sound of gentle waves brushing against the shore, chirping crickets and the rustling of the trees as the evening breeze tickled the leaves. We woke the next morning ready to go chimpanzee trekking (or “chimping” as its officially dubbed) but with no word from chimp trackers, Mwiga advised us to relax until he got word. Other than chimping, Mahale is fabulous for some R&R. 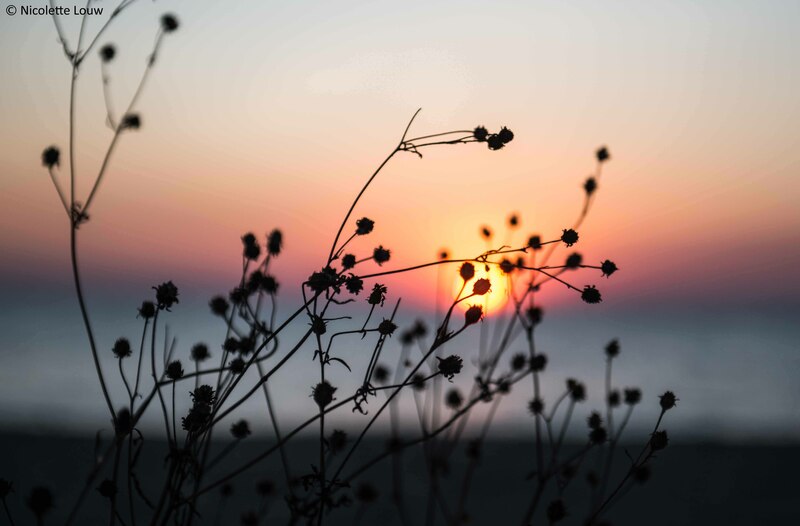 With no cell phone reception available, serenity is at its best as there will be no urgent emails to attend to or desperate text messages needing answers or distracting social media notifications. 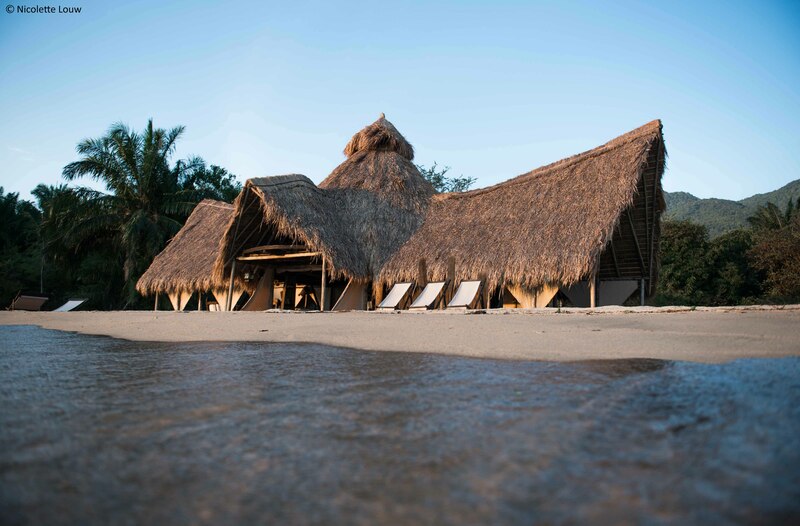 The key here is to unwind with a good book, take naps or catch some rays on the white shores. The bar is readily open all day so you can have that beer at 10am just because you can! Although swimming by the shore is not permitted because Crocodiles and Hippos can lurk nearby, the team will happily take you out on the dhow for a swim in much deeper (and safer!) waters. For the adventures soul, kayaking and a forest hikes are also at your disposal. Chimping alluded us on our first day as the trackers never found the family group but the day wasn’t a total waste for a ‘tog as the evening yielded the magnificent milky way even though it was half-moon, granting the opportunity to capture the cosmos above. 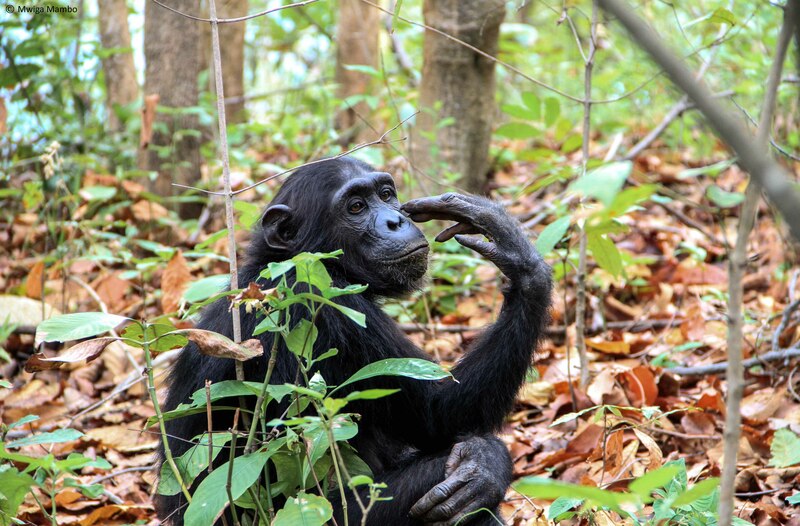 Our second day was a success for chimpanzee trekking as we came across a group of 3 females and a youngster but feeling a little camera shy, they wouldn’t sit still for us photographers. 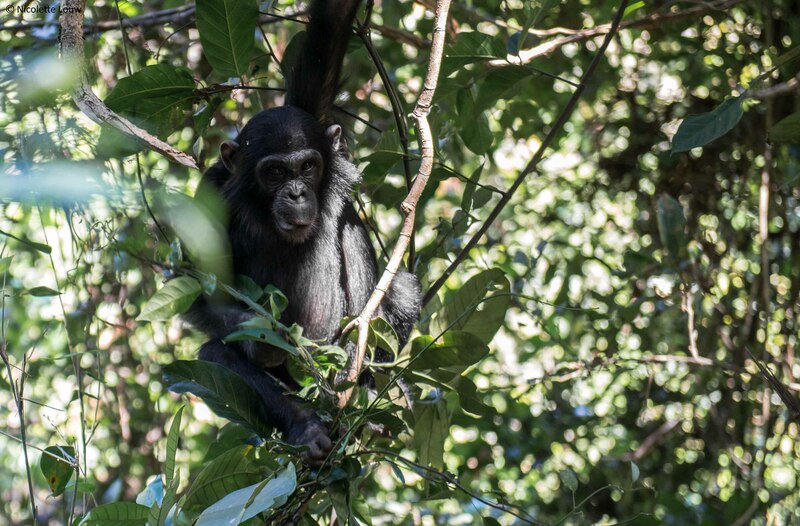 The eldest chimp in the group did manage to stay put for a while as she built a “siesta nest” high up in trees and lay across the canopy like a queen observing her kingdom. With only 1 hour permitted to spending time with the chimps once you found them, we had to make our way back to camp once our session was over. 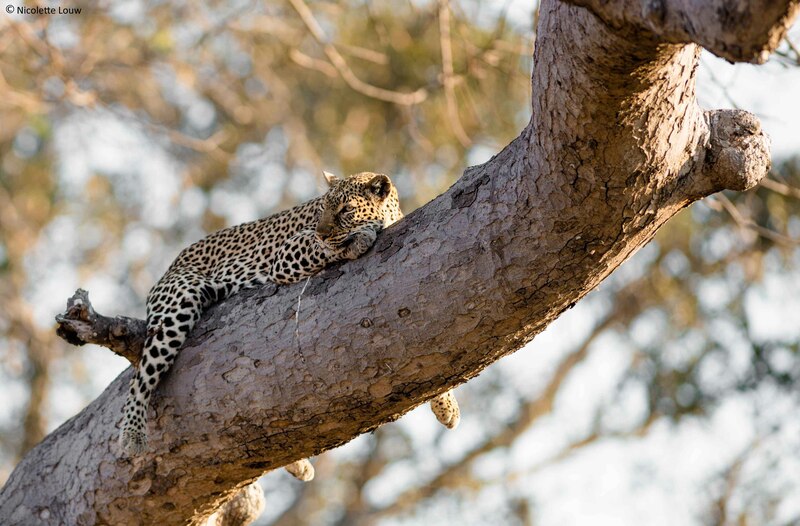 My luck struck out in Mahale but at least my crazy and ambitious hope of a leopard in a tree came true! My African photo safari in Katavi and adventure at Greystoke Mahale have many more stories to it but these details will be revealed in upcoming blogs so that each area and camp are given a full low down…watch this space! 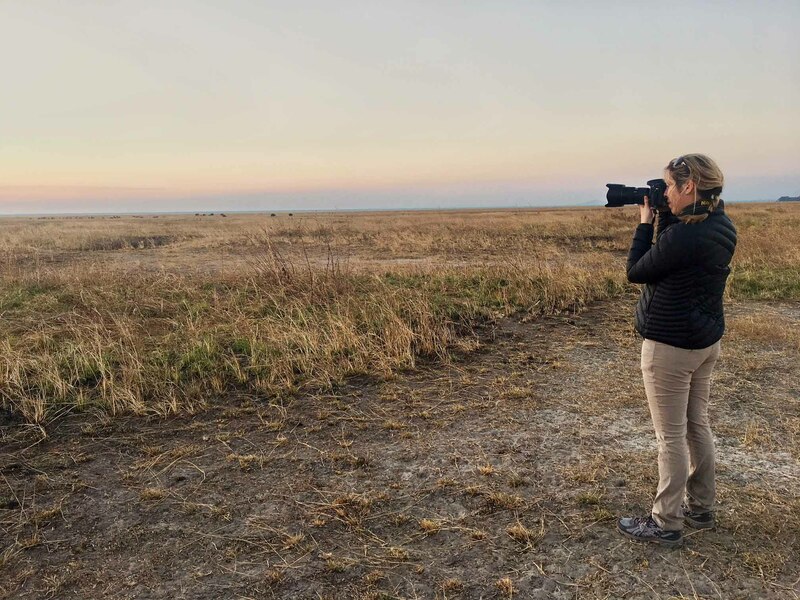 My photography tour to East Africa trip came to a close as I journeyed home to South Africa with a slightly darker skin tone, maxed out memory cards, dusty camera gear, knotted hair, a view of Mt. Kilimanjaro’s peak from the plane’s window and with a determination that I will tick off a visit to Kenya (other than the airport’s duty free area) and a holiday to Zanzibar one day.